How to Unsubscribe from Browser Push Notifications? Web Push allows websites to notify users of new messages or updated content. When you receive a notification from a website you do not want to, you can unsubscribe as soon at the notification appears. Go to Notifications section. Click Manage Exceptions. This will list all the URL from where you have subscribed to notifications. You can click on the URL of the site you want to unsubscribe. You can allow or deny or completely remove a website. Note: In Windows: When you see a push notification, click on the right mouse button to open a drop-down menu, then, Click the «Disable notifications» button. Open chrome on your android device and go to menu by clicking on menu icon from top right. Now go to settings page by clicking on “Settings” from the menu. Go to Site Settings by clicking on “site settings” on the Settings page. 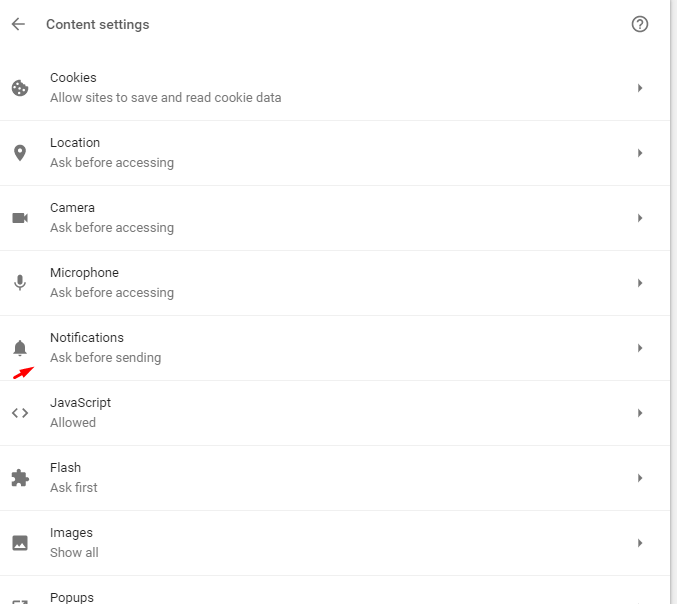 Go to notifications and select the website whose permission you want to revoke – On the Notifications tab, you will see all the websites whom you have permitted to send you notifications. Choose the website from which you do not wish to receive updates. Confirm and done! – When you click on “clear and reset”, a pop up confirms if you want to reset the permissions. Click on “clear and reset” in this pop up and you will no longer receive notifications from this website. Click the Settings button next to Notifications. To stop notifications on a specific webpage (requires a page reload): Click the Site Info button icon to bring up the Control Center, find the Receive Notifications permission and click the x next to Allowed to remove the permission.